Here we have a page about worms! Learn a little about them here, and then have some fun with our wriggly worm activities! 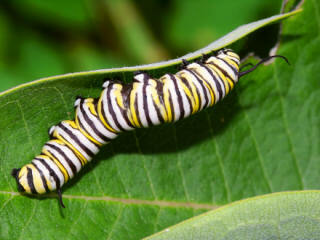 You've probably seen worms in your garden before - but did you worms have existed on earth for about 600 million years? Worms break up soil in the garden and don't harm plants either - so gardeners love them! 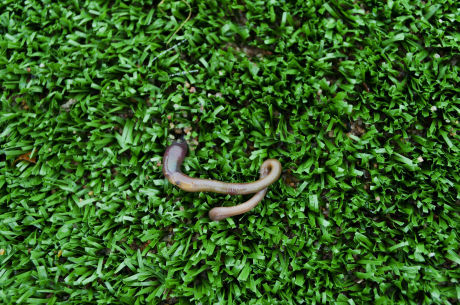 Fun fact: African earthworms can grow up to 6.7m (22ft) long! I love this reading worm! It's a slightly more sophisticated version of the one that I used when I was helping my children learn to read, and we had such fun with him. Here you can find 10 worms, each with 10 of the top 100 high frequency words specified in Letters and Sounds, in order. When I was a child I used to love helping my grandmother in the garden - until I saw one of these! Whether you love worms or hate them, this poster is perfect for a minibeast display. Make this loveworm bookmark craft for kids for Valentine's Day - he's cute, quick and fun and makes a sweet gift! Our reading worm makes learning to read new words fun! Print out as many copies of the worm as you need. Write words in each of the segments (10 per worm) for your child to learn. As he becomes confident with each word, he can colour it in. Here is a starter handwriting worksheet for your youngest children, providing a worm for the kids to colour in the letters of the word to "finger trace" below. This is a good grid copy puzzle for younger children. They will still have to concentrate quite hard on getting the segments of our funny worm's body in the right place. This funny poster of a smiling worm would look great on a nursery or playroom wall - and who knows, it might help prevent a phobia or two! Younger children will have fun colouring in our funny worm and tracing over the letters in the word below. Children can learn more about the humble earthworm by researching the answers to the questions on this worksheet. Chose from colour or black and white versions.